When it comes to smartphones mobile phones, there are plenty of them available at the market. 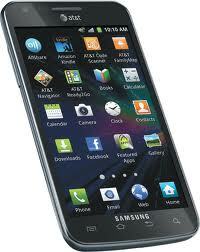 If you consider buying Samsung Galaxy S II Skyrocket, we will try to review it for you. First of all, it is good to know this handset is a fast one for a fast network. The good features are that this handset has a lovely 4.5 inches Siper AMOLED plus display, it has an NFC chip and even better, dual-core processor (1.5 GHz). 8-megapixel 1008p HD video capture camera guarantees taking nice quality pictures and nice quality videos. The problem with this handset is that if you do not live in and area that gets AT&T’s LTE fast network, you should try finding some not so fast mobile phone. But, if you live in such area, Samsung Galaxy S II skyrocket is highly recommended powerful, fast and beautiful handset.